Just to make this clear I’m NOT a programming virtuoso, not even close! However I will try to write down what I find out during my struggle to get my ideas to work. I do this more like notes for my own reference but decided to share it just in case someone else might find it usefull. No! I will no be offended by creative and helpful suggestions! 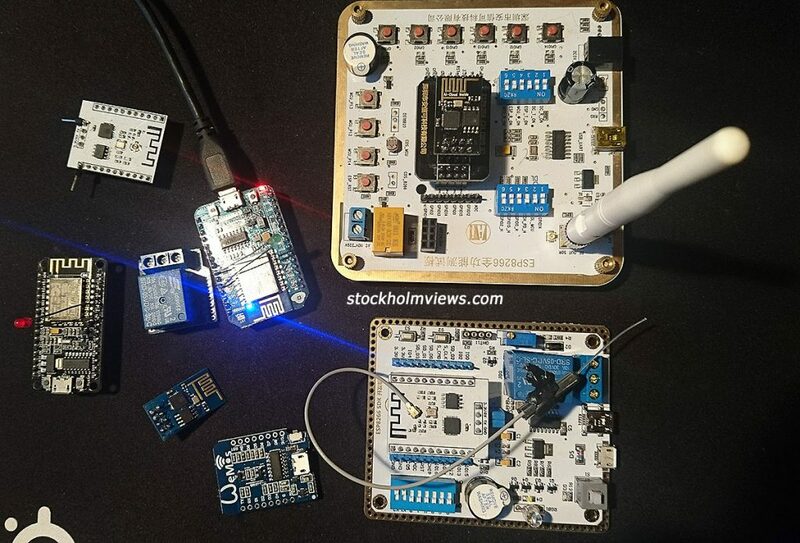 ESP8266 in various incarnations and development boards. The list of projects that I have in mind are finished or in progress the italics not yet started. A remote control app for my window blinds. A temperature and fire monitor app for a wood burning sauna. Wireless controller for my high-speed slide film “scanner”.